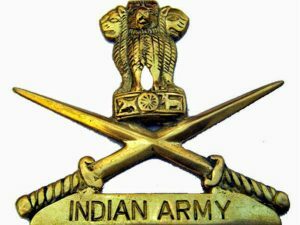 Soldier General Duty (Sol GD): Minimum 10th pass with 45% marks in aggregate and 33% marks in each subject for candidates. No percentage considered in case candidate has passed higher qualifications. e. 10 + 2 and above (vocational streams not acceptable). Sol Tech (Avn&Amn). : 10+2/ Intermediate exam pass in science with Physics, Chemistry, Maths and English with 50% marks in aggregate and 40% marks in each subject or 03 yrs diploma in Engg (Mechanical/ Electrical/ Automobiles/ Cmptr science Mechanical Engg and Electronic and Instrumental Engg) from recognized Polytechnic Instt/ITI. Soldier Nursing Assistant/ Assistant Nursing Veterinory: 10+2 /Intermediate exam pass in Science with English, Biology, Physics and Chemistry with at least 40% marks in each subject and 50% marks in aggregate. Soldier Tradesmen/ Soldier Tradesmen House Keeper and Mess keeper: Metric Pass for All Categories and Tribal. Soldier Clerk & Store Keeper Technical: 10+2 / equivalent pass in any stream (Arts, Commerce, Science) with 60% in aggregate and 50% in each subject from Education Boards / Intermediate Institutions recognized for enrolment. For Soldier General Duty (Sol GD): 17 years and 06 Months to 21 years, Born between 01 Oct 1997 to 01 Apr 2001. All other Posts: 17 years and 06 Months to 23 years, Born between 01 Oct 1995 to 01 Apr 2001. Candidates will be selected based on written test, physical fitness test (PFT), physical measurement test (PMT), verification of documents. Height:Sol GD / Sol Tech / Sol Nursing Assistant and Sol Tradesmen169 cm. Weight:All category or trades candidates weight should be minimum 50 kg. Login 10-15 Days Prior to 1st Day of the Rally to Download & Print Admit Card.